At the Academy of Arts in Berlin (Akademie der Künste) a new exhibition has open recently with the title Culture:City (Kultur:Stadt) running until 26th May 2013. The exhbition is about that art and culture have in many ways become key motors of innovative and successful urban design and planning, without which the world’s metropoles would no longer be worthy of the name. Culture:City encourages us to think consistently about the future of our cities from this perspective. The architectural exhibition curated by Matthias Sauerbruch for the Akademie der Künste takes a critical eye to the relationship between architecture and the social reality of the 21st century and shows the impact of art and culture on cities and architecture. Accompanying the exhibition, a comprehensive catalogue will be published by Lars Müller Publishers, Zurich, edited by Wilfried Wang for the Academy of Arts (Akademie der Künste) and includes essays by Kaspar König, Richard Sennett, Michael Mönninger and William J.R. Curtis. 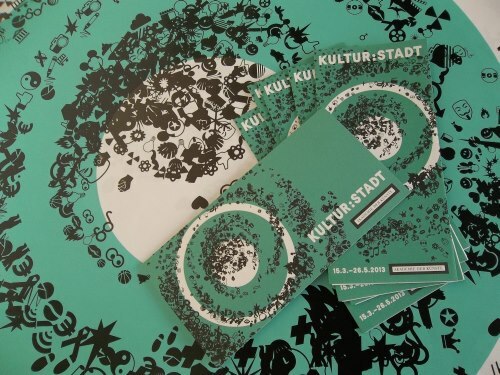 Further information about the exhibition can be found on the website CULTURE:CITY – KULTUR:STADT.